Christmas on Candy Cane Lane by Sheila Roberts is the eighth book in Life in Icicle Falls series but the first one that I have read. While part of a series, it can be read as a standalone. Taking place in a small town called Icicle Falls, the book has a Christmas feel and is a story that left me feeling the Christmas cheer. We meet some really interesting characters in this book that instantly endeared themselves to me. I loved the whole close community, small town feel of Icicle Falls and laughed and cheered reading the adventures or misadventures of the residents. Tilda is the town cop and people come to her to get their problems solves but she is handling multiple challenges of her own this Christmas. She has bought a fixer uper, is attracted towards the bad boy and has to keep a watch on her neighbours like Maddy who, in my opinion, needs to spend more time with her family and less on her candy canes. She was frustrating at times but still I loved her. Same goes with the other characters of this town, who have made me eager to go back and checkout the previous books in this series. All in all, I loved reading this book and had a happy smile when I finished it. 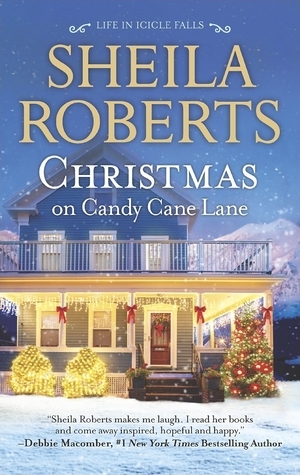 4 out of 5 to Christmas on Candy Cane Lane by Sheila Roberts and recommended to everyone.